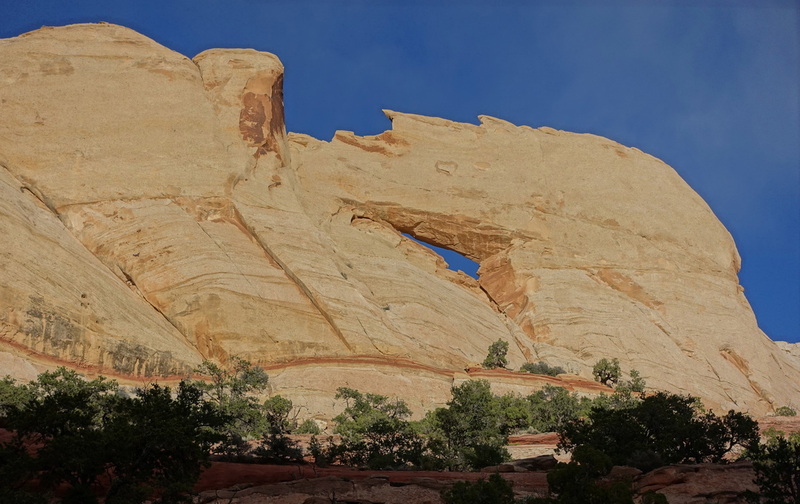 The prettiest formation in Escalante is the Golden Cathedral (9.5 miles return, 1200ft). 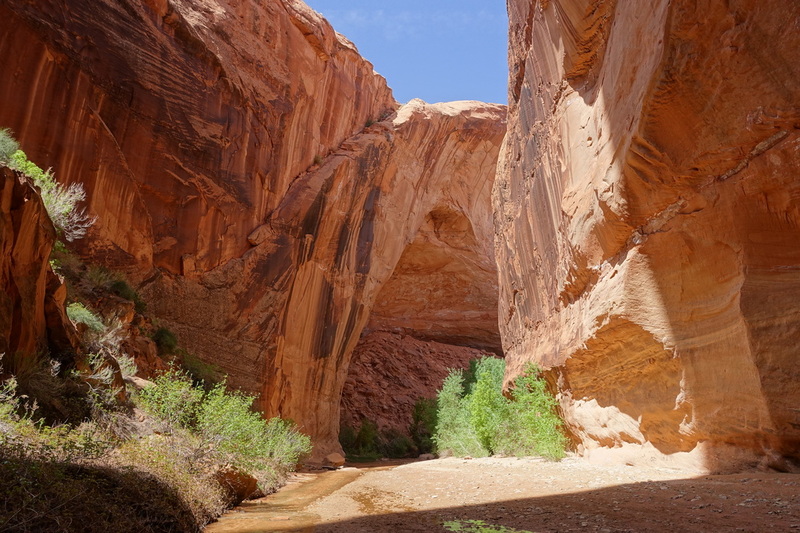 There are a couple of river crossings required and several areas along the river and inside Neon Canyon would make for good campsites. The road to the Egypt trailhead requires a high clearance vehicle and some extra time. 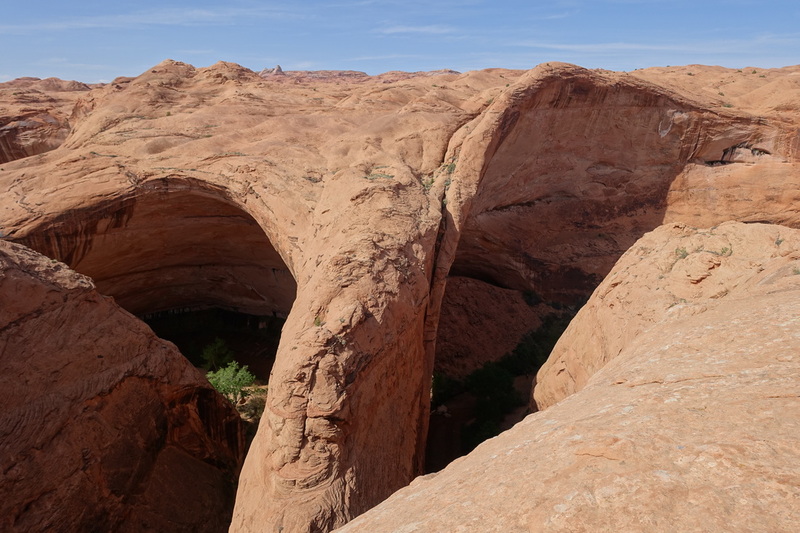 The sneak route loop from the Forty Mile Ridge Trailhead allows you to see Coyote Gulch as a day hike while still allowing plenty of time in the canyon (16 miles). The climb out the sneak route is easily doable with a daypack. I would not go down into the canyon that way unless you bring a rope. 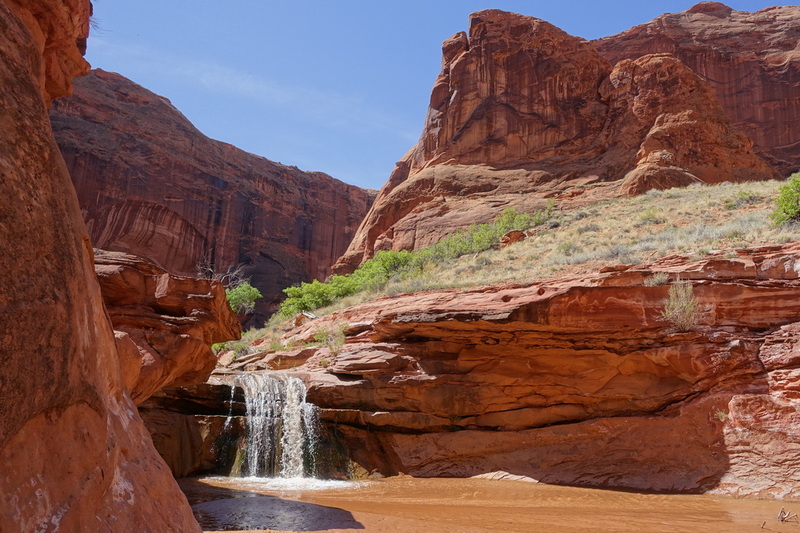 ​The river bottom is smooth enough that you could go barefoot, making it an easy sixteen miles and you tend to stay cool being in the water. 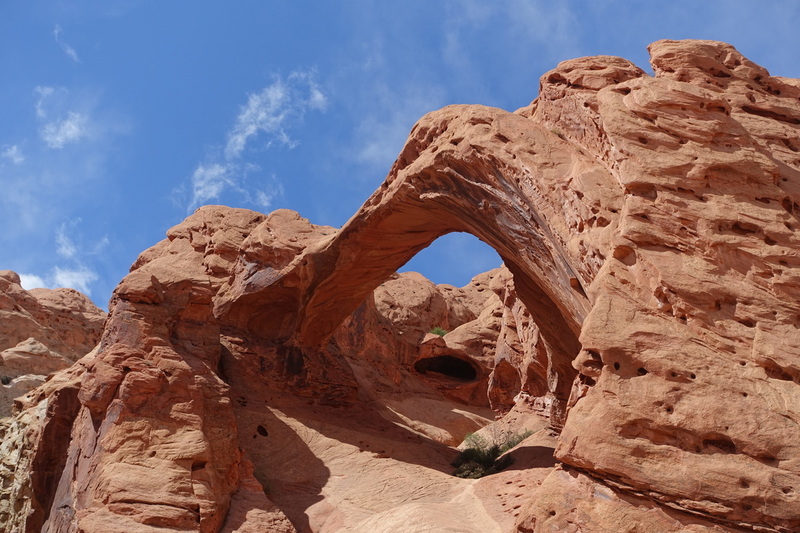 If you have the extra time, visit Stevens Arch on the east side. 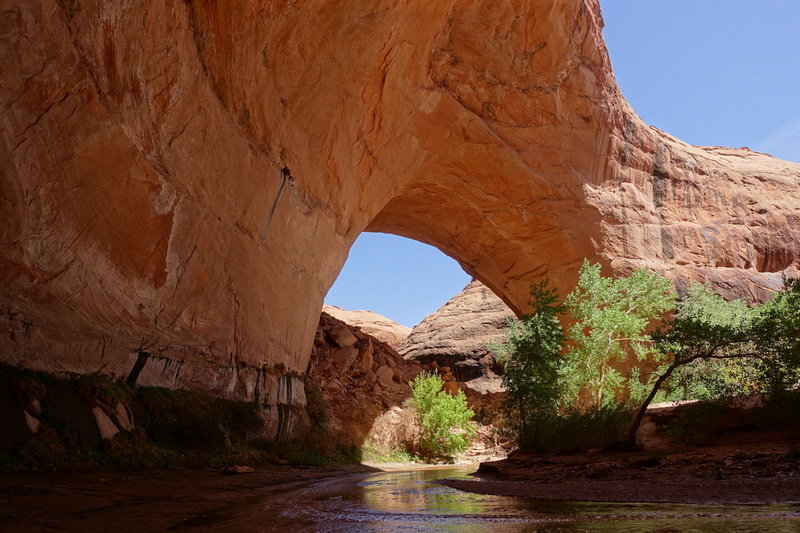 There are no crowds on this end of Coyote Gulch and would make for a great campsite. Great photography spot at sunset. After my visit, I discovered there is another nearby formation here called the resurrection stone. 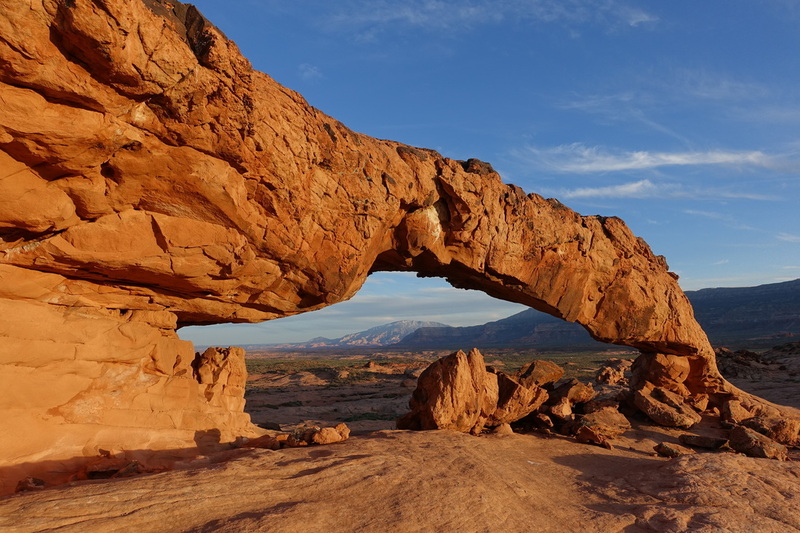 Trailhead: There is no trail to the arch, park at the pullout on the right at 3.5 miles from the start of Fortymile Ridge Rd (BLM-270) and walk south for about one mile. A trench will need to be crossed once or twice depending on the route you take. Distance: About 5 miles roundtrip with little elevation change. 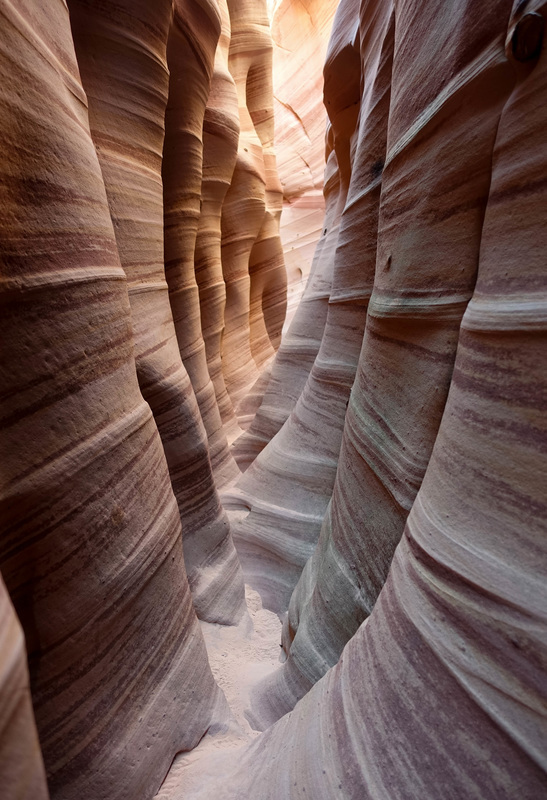 The canyon may be filled with water or completely dry. 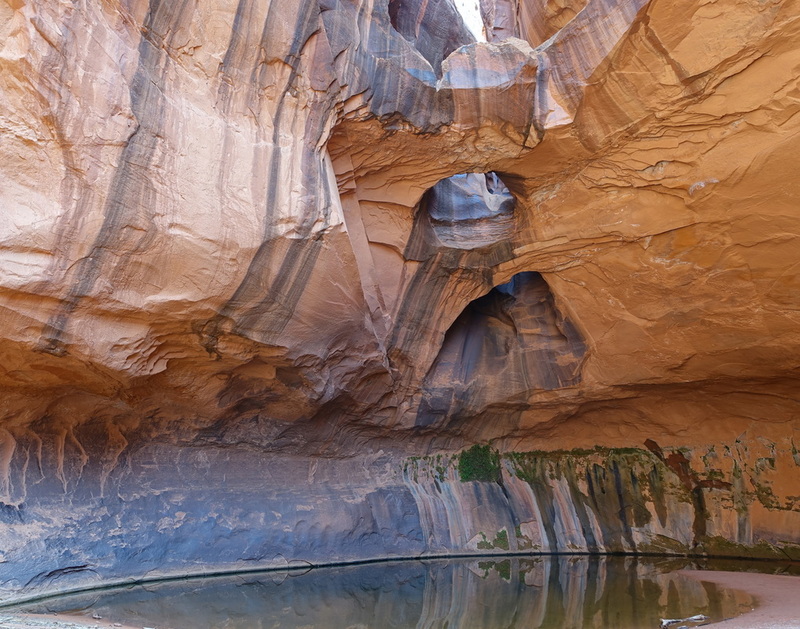 Some shimmying is needed to reach the upper canyon pictured on the right. The most reward for the least amount of effort in Escalante. 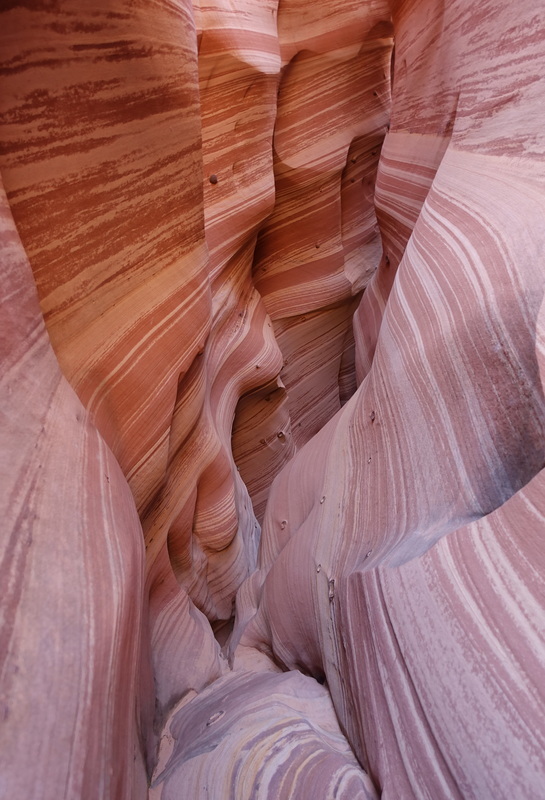 Few people travel far enough down Hole-in-the-Rock to reach Willow Gulch and I had the area to myself. 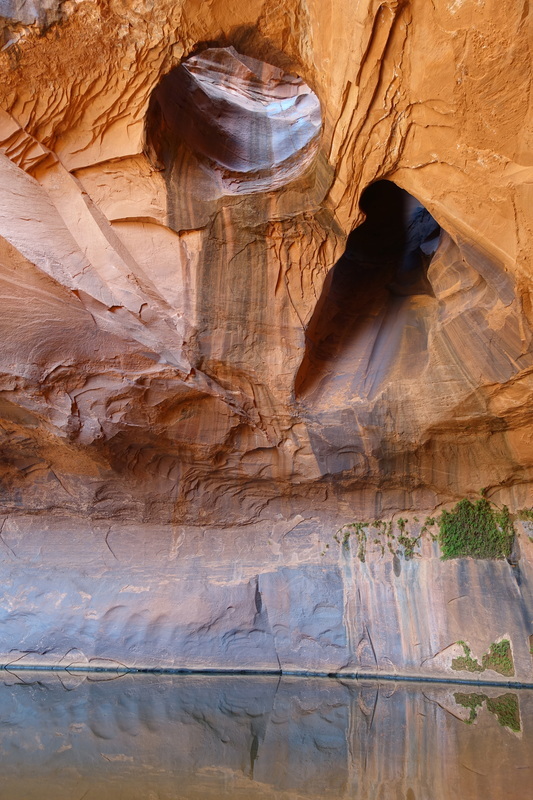 The alcove across from the arch made for a memorable campsite. Trailhead: The road is unmarked unless you look closely there is a small reflector that says BLM-276. 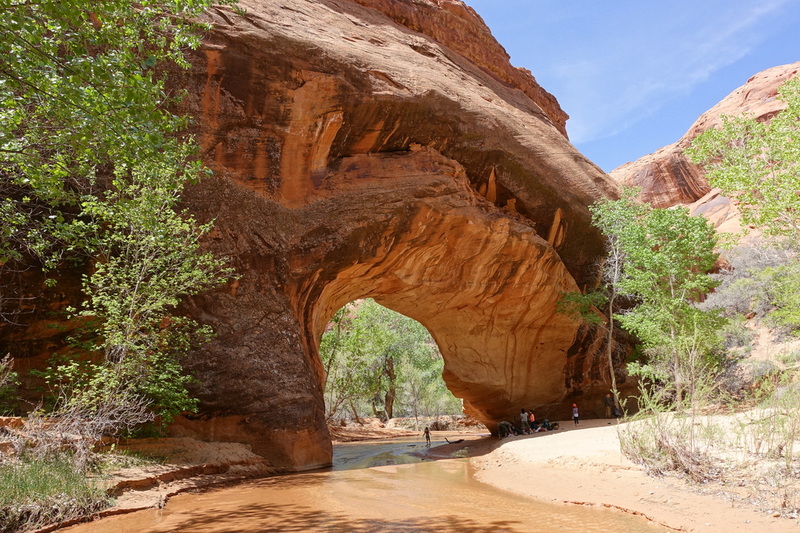 I found it best to combine this trip with Coyote Gulch as it is only five miles south of Fortymile Ridge. Trailhead: Upper Muley Twist Trailhead is a few miles off the Burr Trail Rd. 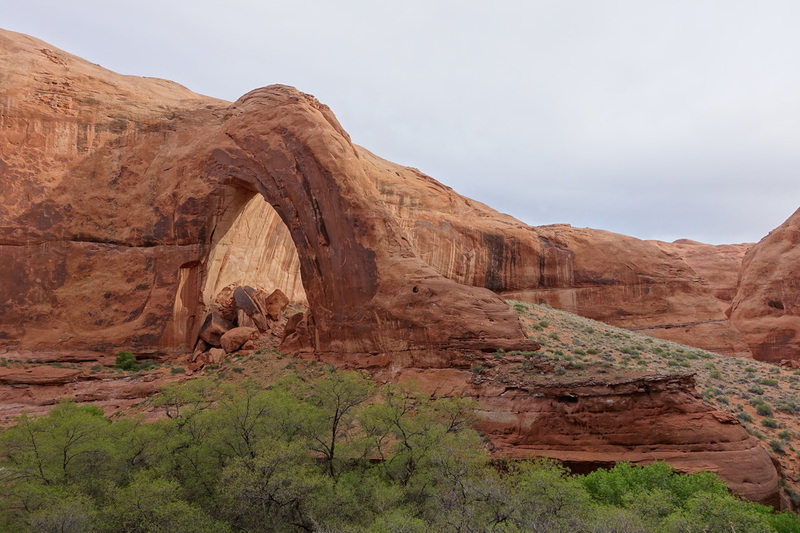 The Canyon trail portion of this hike has several arches on the west side. They are unmarked and sometimes exploration is needed to get a better view. 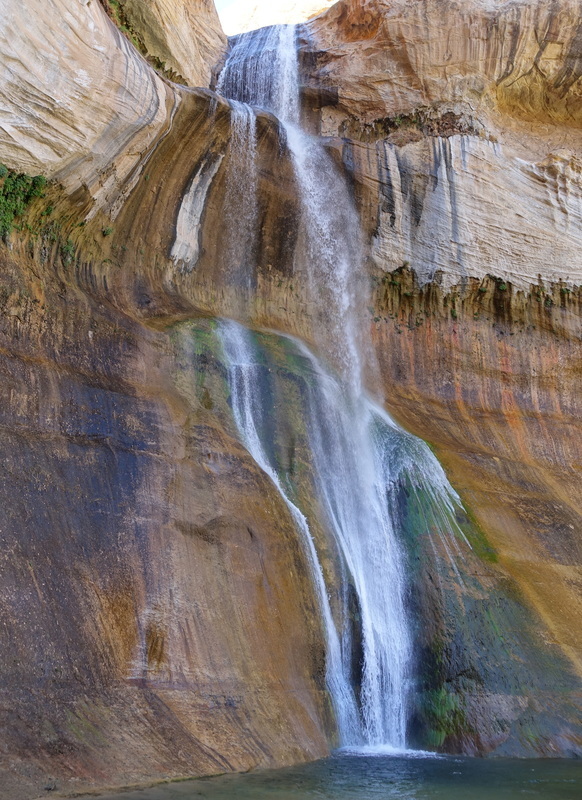 If coming from Boulder or Escalante, the Burr Trail road traverses Long Canyon, which is worth the drive even if you aren't doing any hiking. The Upper Muley Trailhead road says it requires 4WD but it was passable in a non-4WD high clearance vehicle. A great short day hike directly off highway 12 at Calf Creek Campground (6 miles return).